Canada. Yep, we are in Canada today. A country I used to relate to chocolate the same way I related Belgium to bobsleighing. Virtually not existing. Oh, little did I know before my eyes were opened to fine chocolate. And behold, nowadays even Belgium has an olympic bobsleigh team, for that matter. So without any ado, I present to you: Soma Chocolate’s Camino Verde 80% from their Black Science collection. So far, Ecuador – where the cacao used in this bar is produced – offered me herbal, deep, balanced and intense chocolate bars made by Mayta and Pacari – both originating in Ecuador itself. I was more than curious to find out if an artisan producers outside the country would stand for a total different view and taste. 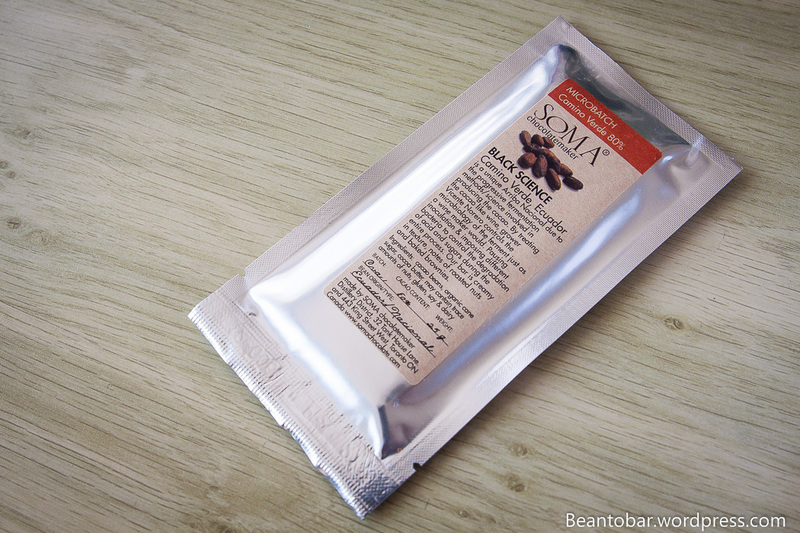 Soma is based in Toronto, Canada and specialises in creating bean-to-bar chocolate and chocolate creations. 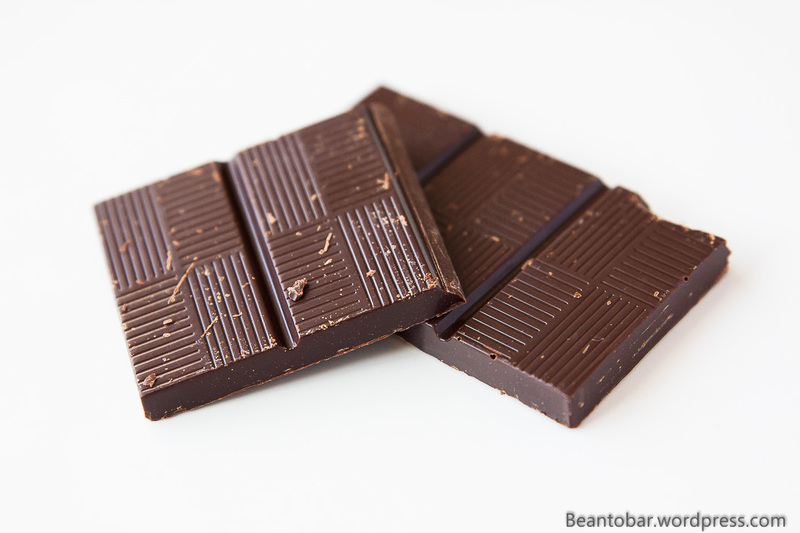 They focus on top quality cacao – Criollo, Trinitario and Arriba, but seem to have a soft spot of a Forastero cacao from Ghana, a region normally related to bulk chocolate cacao. Interesting! As a micro-batch producer, they take the time and effort to let the cacao and its origin shine in the bars they produce. This specific bar was sent to me by my US supplier Adrienne, who provides me with all sorts of amazing bars from the North-American scene. It’s packed in a glimmering thick foil, simply stamped with a label giving some info and credit on the cacao producer who supplied the beans. Vincente Norrero is the owner of the Camino Verde project, focussing on quality Arriba Nacional cacao by controlling the growth, harvesting and most important, the fermenting of the beans. 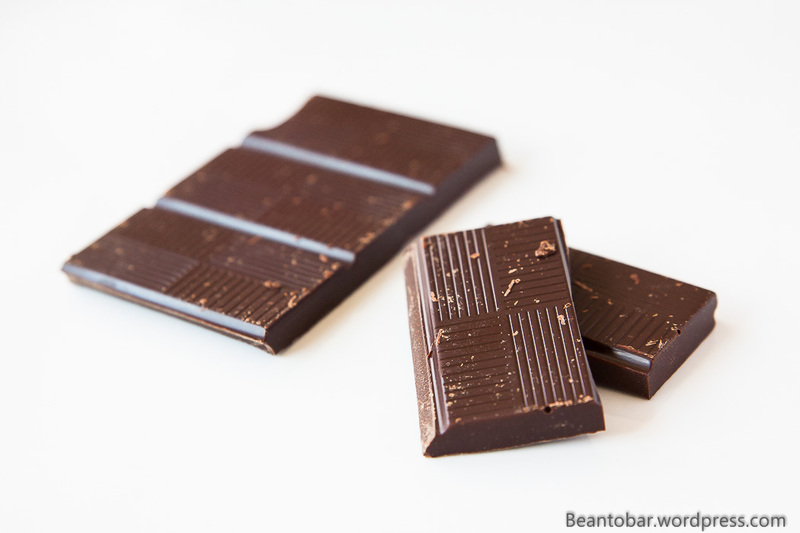 By now a lot of different chocolate makers have discovered these aromatic beans and create their own version of this chocolate. Most tend to stay in the lower 70 to 75% range, but Soma takes it a step further and goes for 80% cacao. 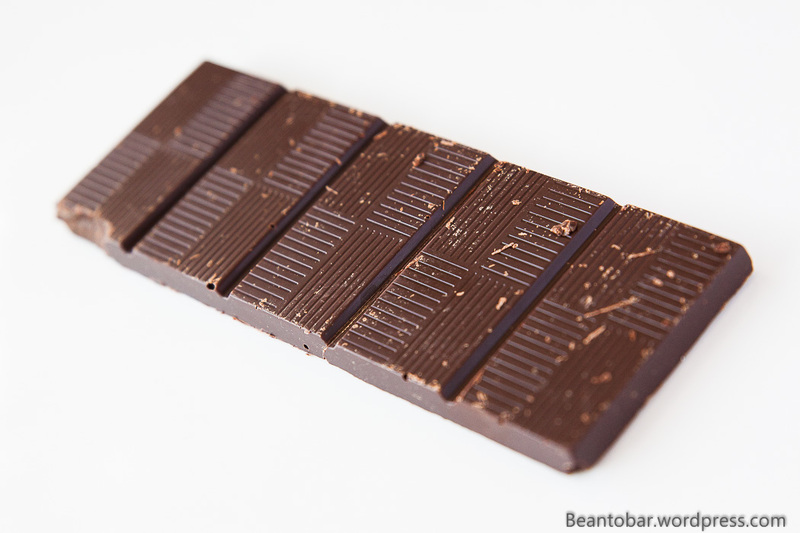 During my tastings I discovered making a bar over 80 percent cacao is a difficult balancing act and many fall for powerful taste with a brittle texture or rather fall the other side by adding to much cacao butter, ending up with a clogging bar with reduced aromas. But if done right, these bars can be so delicious! This actual chocolate bar doesn’t look particular impressive. It is a nice rectangular, shiny piece of chocolate with generic decorations. Obvious Soma wants you to focus on the taste rather than the looks. Taste: The chocolate opens with a sudden flash of gorgeous roasted aroma’s, gone is a second to make room for green cacao and deep, deep chocolate tones. A mild espresso bitterness lays as a veil over the main taste and adds power. Next comes a slow rising wave of sweetness, carrying a floral aroma. This sudden change opens up the taste en enlightens the palate, briefly reminding me of sweet fruit and brown sugar and molasses, before the more powerful tannins return and guide you swiftly to the aftertaste that keeps your tongue playing with the woody, earthy cacao aromas, chocolate and coffee with a satisfying length. One more thing to note: the texture. It is simply amazing. Perfect melt and French style smooth. But not a trace of overuse of cacao butter. It is balanced perfectly and offers tons of aroma. Soma created a wonderful example of a higher percentage bar, creating a very smooth and aromatic experience! One thing I couldn’t find was the renowned orange blossom notes typical for Camino Verde chocolate. I should compare it to other versions of this bar to see if I missed it or if it is simply not present in this otherwise glorious bar. I’ve heard such great things of Soma. It is a shame that the design of the chocolate makes it look cheap… but the packagining and overall experience of the chocolate surely makes up for that!